Selina Bahar Zaman, Tajin Chowdhury, Nasrin Sams. East Bengal was a geographically noncontiguous province of the Dominion of Pakistan covering Bangladesh. With its coastline on the Bay of Bengal, it bordered India and Burma. It was located very near to, but did not share a border with, Nepal, China, the Kingdom of Sikkim and the Kingdom of Bhutan. Its capital was Dacca. Chittagong Municipal Model High School, established in 1880, is one of the oldest schools in Bangladesh.The school is located at the Chittagong Biapni Bitan. In fact, it is adjacent to the north boundary wall of the Market which people know as Newmarket in Chittagong. Chittagong College is a government college in Chittagong, Bangladesh. It is the second college established in Bangladesh after Dhaka College. It offers Higher Secondary Education (HSC), bachelor's degree and master's degree. Shamsunnahar Mahmud was a writer, politician and educator in Bengal during the early 20th century. She was a leader of the women's rights movement in Bengal after the death of Begum Rokeya. The All-India Muslim League was a political party established in 1906 in the British Indian Empire. 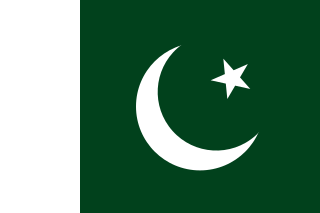 Its strong advocacy for the establishment of a separate Muslim-majority nation-state, Pakistan, successfully led to the partition of British India in 1947 by the British Empire. Anwara Bahar Chowdhury was a Bangladeshi social activist and writer. Iqbal Bahar Chowdhury is a Bangladeshi news presenter, elocutionist and voice actor. He served as the head of the Bangla Service, Voice of America during 1972–2010. Kazi Nazrul Islam was a Bangladeshi Bengali poet, writer, musician, and revolutionary from Bengal. He is the national poet of Bangladesh. Popularly known as Nazrul, he produced a large body of poetry and music with themes that included religious devotion and rebellion against oppression. Nazrul's activism for political and social justice earned him the title of "Rebel Poet". His compositions form the avant-garde genre of Nazrul Sangeet. Nazrul and his works are equally commemorated and celebrated in Bangladesh and India, particularly in India's Bengali-speaking states such as West Bengal, parts of Assam, and Tripura. Bangla Academy is an autonomous institution funded by Bangladesh government to promote and foster the Bengali language, literature and culture, to develop and implement national language policy and to do original research in the Bengali language. Established in 1955, it is located in Burdwan House in Ramna, Dhaka, within the grounds of the University of Dhaka and Suhrawardy Udyan. Bangla Academy hosts the annual Ekushey Book Fair. Dhaka College is a public college located in Dhaka, Bangladesh. It offers higher-secondary education (HSC). It has bachelor's degree and master's degree programs as well which divisions are affiliated to the University of Dhaka. Mizanur Rahman Chowdhury was a Bengali politician, most notable for serving as Prime Minister of Bangladesh from 9 July 1986, to 27 March 1988. In 1971 the Pakistan Army and their local collaborators, most notably the extreme right wing Islamist militia group Al-Badr, engaged in the systematic execution of Bengali pro-liberation intellectuals during the Bangladesh Liberation War of 1971, a war crime. Intellectuals were killed throughout the entire duration of the war. The largest number of executions took place on 25 March and 14 December 1971, as it became apparent that Bangladesh would become independent. 14 December is commemorated in Bangladesh as Martyred Intellectuals Day. Fazlul Quader Chaudhury (1919–1973) was a Bengali politician who served as the 5th speaker of the National Assembly of Pakistan from East Pakistan. He belonged to Ayub Khan's Convention Muslim League. He was also the Acting President of Pakistan from time to time when Ayub Khan left the country. His elder brother Fazlul Kabir Chaudhury was the leader of the opposition in East Pakistan assembly. Quader was preceded by Maulvi Tamizuddin Khan of Awami League. Comilla Victoria Government College is a college in Comilla, Bangladesh. It is one of the oldest and renowned colleges in Comilla as well as in Chittagong division. The college is located on 29 acres of land including its intermediate and honors section. 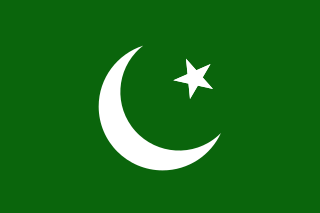 The East Pakistan Renaissance Society was a political organisation formed to articulate and promote culturally and intellectually the idea for a separate Muslim state for Indian Muslims and specifically for the Muslims of Bengal. The organisation's founders and leaders included Abul Kalam Shamsuddin, the society president, Habibullah Bahar Chowdhury and Mujibur Rahman Khan. Rashid Ahmed Chowdhury was a Bengali dancer of British India, and later East Pakistan. He is primarily regarded as a pioneer of modern dance in Bangladesh, as a founding figure of dance among the conservative Muslim community. Mujibur Rahman Khan was a Bangladeshi journalist, litterateur and politician. Mamun Mahmud was a police officer and a martyr of the 1971 Bangladesh Liberation War. Khan Bahadur Abdul Aziz (1863–1926) was an educationist, writer and social worker from East Bengal. Begum is a Bengali language monthly magazine founded in 1947. It was Bengal's first illustrated women's weekly. It covered the work of Bengali women in literary activities. Zahur Ahmad Chowdhury (1916-1974) is a Bangladesh Awami League politician and a former Minister of Health and Family Welfare. M. A. Aziz is an Awami League politician and the former Member of the National Assembly of Pakistan from Kotwali-Double Mooring, Chittagong. Selina Bahar Zaman was a Bangladeshi writer and academician. Ohidul Alam was a Bangladeshi writer, poet, historian, and journalist. 1 2 3 4 Rafiqul Akbar. "Chowdhury, Habibullah Bahar". Banglapedia. Retrieved 17 March 2016. ↑ AKM Saifuzzaman. "Mahmud, Shamsunnahar". Banglapedia. Retrieved 18 March 2016. ↑ ""Nirbachito Bulbul" Inaugurated in Kolkata". Voice of America. 26 November 2005. Retrieved 17 March 2016. ↑ "Remembrance : Anwara Bahar Choudhury : Educationist, Writer and Cultural Activist". The Daily Star. 27 March 2015. Retrieved 18 March 2016. ↑ "The art of recitation: Then and now". The Daily Star. 3 March 2008. Retrieved 17 March 2016. ↑ "Iqbal Bahar Chowdhury's recitation evening today". The Daily Star. 6 May 2015. Retrieved 17 March 2016.